The lakes of northern Italy are a magical place to visit. Set against the foothills of the alps, they offer dramatic scenery and a respite from summer's intense heat. Here you will find the top five lakes, including maps and tourist information. In general, Lake Como is the most popular lake for visitors, especially Americans. Lake Garda is popular with Germans and other Europeans, and Italians are likely to head for Lake Orta for an escape. One of the largest and most popular is Lake Maggiore, while Lake Iseo is somewhat of a hidden gem. Lake Como, or Lago di Como in Italian, is Italy's most famous lake—now even more so since actor George Clooney owns property nearby. A half hour north of Milan, Lake Como is known for its lavish villas and can get packed with visiting Milanese on weekends. A drive around the lake is mandatory if you have a car. Bellagio is known as la perla del lago (the pearl of the lake) and is considered by many to be the most beautiful and romantic town on Lake Como, if not in Italy. You can take the ​funivia (cable car) up to Brunate for a spectacular view of Lake Como and surrounding hills, and cool off in the summer in the higher altitude as well. Hikers can take the footpath up to Monte Boletto for the same effect. Plan where to stay with these Lake Como top-rated hotels. This long and narrow lake is one of the most visited in Italy's lake district. It is north of Milan, and the most northern end extends into Switzerland. Lake Maggiore is home to three picturesque islands called the Borromeo Islands, which can be reached by ferry from the town of Stresa. In addition to the islands, there is much to see and do on Lake Maggiore. The gorgeous setting in the Alps is ideal to explore the parks, including botanical and zoological gardens, as well as take the cable car up Mottarone Mountain for 360-degree views. There are castles and fortresses, in addition to a 12th-century church built into the cliffs. 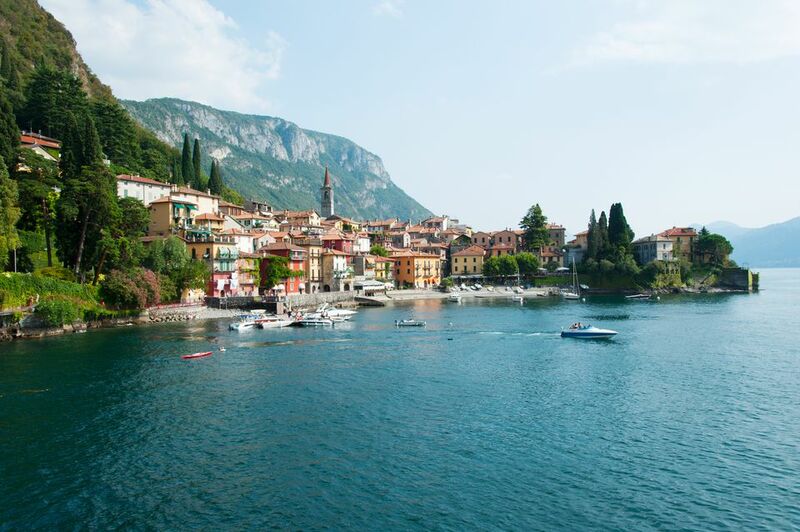 Perfect for the active traveler, Lake Maggiore offers plenty of spots for hiking and biking, as well as kayaking and rafting in the Santa Anna Gorge. The main tourist town is Stresa, but there are other areas featuring beautiful accommodations as well. Lake Orta lies to the west of the better known and more often visited Lake Maggiore and Lake Como. This small lake is a favorite with Italians and has several charming places to go. Start your exploration with a stay at Lake Orta's most charming village, Orta San Giulio, with houses topped in thick slate tiles and adorned with wrought-iron balustrades and balconies. The island of San Giulio, the only island in Orta, is accessible by hired boat, where the views of the lake with Sacro Monte, or sacred mountain, rising up behind are spectacular in the late afternoon. Lake Orta has always been a haven for poets and other creative people—Nietzsche spent the years 1883 to 1885 in retreat at Lake d'Orta to write Thus Spoke Zarathustra. Plan where to stay with guest-rated Lake Orta Hotels on Venere or take a virtual tour of the lake. Lake Garda, the largest lake in Italy (an almost 100-mile loop around), is located between Venice and Milan and is considered to be "one of the biggest activity playgrounds in Europe." The climate around Garda Lake supports both Alpine and Mediterranean environments and getting close to nature is part of the Garda experience—there are many parks around the lake, as well as the Botanic Garden found on Mount Baldo, at a height of nearly 4,000 feet, accessible from the town of Malcesine. Travelers call Grotte di Catullo on the Sirmione peninsula an archeological wonder. The family house of Catulla, a writer or senator of the Roman empire, is situated in a spectacular point on the peninsula, surrounded by olive and lemon trees. Although tourists are welcome, Lake Iseo is not often listed in the Italy Lake District brochures. You may find this surprising since the scenery is worth the trip, with lush green mountains surrounding a crystal clear lake. Combine this with the lack of crowds, and it is even more appealing. 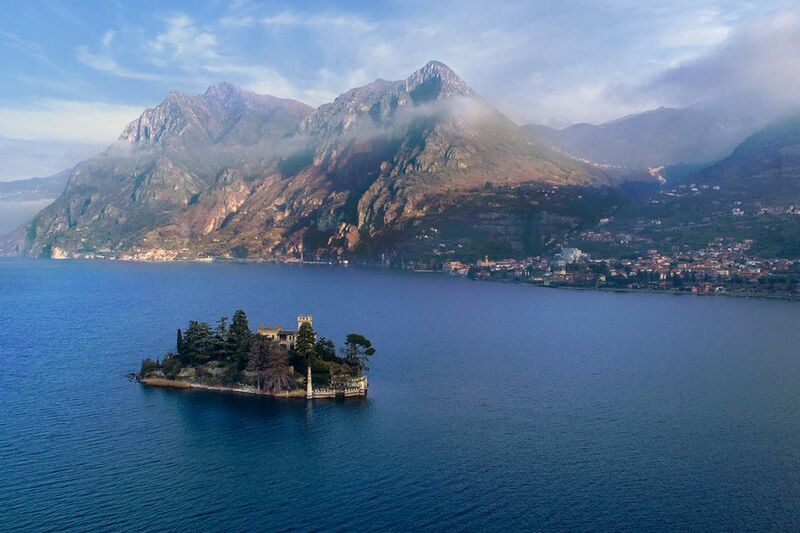 The towns of Sulzano and Sale Marasino on the eastern shore are an ideal location from which to take a ferry to "Europe's largest lake island" Monte Isola. Challenge yourself to climb the steep grade through the walnut and olive trees to the top where you'll find the Madonna della Ceriola, a 13th-century church. Other medieval towns along the charming and elegant shores are Iseo, Sarnico, Riva di Solto, Lovere, and Marone. Choose from one of the best hotels around the lake for your visit.